Wisconsin Governor Scott Walker recently spoke at the 2011 Goldwater Institute Dinner. Here is his speech including an introduction by former Congressman John Shadegg. The practice of hunting buffalo by herding them together and driving them off of a cliff has long been abandoned, but as a political tactic, the method is still in use. States across the U.S. have been assembled and are running off of a cliff in the name of the Common Core State Standards Initiative. Arizona and 45 other states signed on to the new standards, though few in state legislatures or the general public know what the standards will require. One would hope that if the entire country were going to unify behind one set of curriculum guidelines, they would be rigorous and prepare American children to compete in the global economy. Not so with the Common Core. For example, Arizona’s prior standards treated “literary and non-literary texts distinctly and thoroughly and in more detail than the Common Core,” though there were other areas of Arizona’s standards that did need improvement, according to the Thomas B. Fordham Institute. California’s standards, and those of some high-achieving nations, require more preparation for Algebra I; and the content of the Common Core for Geometry and Algebra II is weaker than the standards formerly in place in Massachusetts and California. This hodgepodge of adjustments and push towards homogenization creates a “race to the middle,” according to Pioneer Institute experts Dr. Sandra Stotsky and Ze’ev Wurman. Ms. Stotsky served on the Common Core Validation Committee, but did not sign off on the standards; and Mr. Wurman served on the commission that evaluated the standards for implementation in California. Beyond assessing the rigor of the curriculum, lawmakers will also need to consider the cost of implementing the new standards. Recently, California became one of the first states to estimate what the new standards will cost to implement: $800 million. We know very little about what it will cost elsewhere. Lawmakers across the country should give serious thought to the price they want to pay to implement standards that aren’t internationally competitive and don’t prepare our children for college. Arizona and other states should opt out of the Common Core and take the best elements from the curriculum standards previously used in Massachusetts and California in order to raise the academic bar for our students. We shouldn’t join the race to the middle. Boston Globe: What will the adoption of national standards cost Massachusetts schools? The video features Gilbert Vice Mayor and Mother, Jenn Daniels, on why she supports Kirk Adams. To view the first part of the video testimonial series, please click here; otherwise click here for Jenn’s personal testimonial. Each individual in the video series offers a unique perspective and explains how Kirk Adams’s political courage, personal integrity, and conservative principles have had a positive impact on them and why he’s the right choice in 2012. “The majority of my day is spent doing everyday Mom work, I spend the other largest portion of my day serving the Town of Gilbert and working as hard as possible to make sure this community is a great place to raise a family,” states Jenn. Adams is a husband, father, and small businessman. After joining the state House in 2006, he became so frustrated by the unwillingness and inability of Republicans in the Legislature to stand up for their conservative principals that he launched a long-shot campaign to oust the veteran Speaker of the House. Adams shocked the Republican establishment and political class, winning the Speakership at only 35 years of age. Adams turned the tide in the House and put Arizona back on the path to fiscal responsibility with an aggressive agenda of reform, courageously taking on some of the most challenging issues in Arizona. Adams, a lifelong East Valley resident, lives in Mesa with his wife JaNae their five children. “We are disappointed in Governor Brewer’s decision this afternoon to not call a Special Session on redistricting. After all the unconstitutional decisions and alleged violations of law by IRC Chair Mathis, Arizona voters deserve the opportunity to revisit the concept of an independent commission drawing the legislative and congressional maps. The flaws of having one unaccountable and unelected person making such vital decisions for the state have been exposed. Senate and House leadership have met numerous times with the Governor and her staff, and we have assured her as recently as this morning that we had the votes necessary to put a Prop. 106 repeal or reform on the ballot in February. “Perhaps the most difficult part of being a leader is telling people what they don’t want to hear. This is one of those moments. I share the sentiments of Arizona voters concerned about the conduct of the Independent Redistricting Commission, especially its Chairwoman. Likewise, I am deeply concerned that this year’s redistricting process has not been conducted openly and in full accordance with the Arizona Constitution, and that the resulting maps may unfairly diminish the political influence of individual communities and the state as a whole. “It was with those concerns in mind that I removed the Chairwoman from her post with the IRC. I stand by that action, and believe the Arizona Supreme Court grossly erred in returning the Chairwoman to the Commission. There may be another time to deal with the Court, but it’s important at a time like this that we keep our eyes on the bigger picture. “Arizona voters created the Independent Redistricting Commission with their approval in 2000 of Proposition 106. I’ve seen no evidence to date that indicates voters are ready or willing to throw out the Commission structure. Moreover, the Legislature has yet to produce a consensus set of redistricting reforms to propose to voters. Cardon: Super Committee Fails Yet Congress and President Won’t Take a Pay Cut! Phoenix, Arizona – U.S. Senate candidate Wil Cardon is outraged by news that Congress and President Obama are unwilling to live in the real world and do right by the American people.Last week, the Super Committee failed to reach an agreement over cutting $1.2 trillion dollars in an effort to keep the country from the automatic $1.2 trillion in across the board cuts. While many programs like the defense department are on the chopping block, salary cuts for Members of Congress and the President are missing from the equation. Cardon who is a conservative Constitutionalist understands that the 27th Amendment prevents members from changing their own pay within a single Congress but also highlights that these cuts do not take effect until FY2013 which allows members the ability to take a stand and adjust their salaries moving forward. Arizona continues to be a shining star in the midst of liberal darkness that shrouds our country. As we hear reports of inequality regarding the treatment of the Tea Party vs. the treatment of the Occupy protesters in Richmond and other locations, I wish to give thanks the leaders of our great State for their support and fair treatment of our groups over the last two and a half years. Not once have we received resistance to our events, been unduly denied permits or access to public areas, nor harassed in any manner. On the contrary, the City of Phoenix has provided police protection for our members and has provided freedom of expression of our first and second amendment rights. We have always felt free to express our message, even when it is alongside the violent opposition. Indeed, Arizona has been a beacon for those wishing to lift their voices in protest, not only for the Conservative voice, but also for the law-breaking entitlement groups who hate our State and our country. When a group of illegal immigration proponents threw a large American flag on the State Capitol grounds, placed a toilet seat on it and instructed their children to stomp their dirty shoes over it in defiance of our laws, the Arizona Capitol police protected their 1st amendment rights as well. Yes, here in Arizona you can wave your Mexican flag on the porch of the Capitol and declare that it is truly Mexico, not the United States, and get away with it. As abhorrent as that seems, it is the nature of Arizona to uphold the law and the rights of her people, even when it hurts. We applaud our great State, and offer her example to those officials in other parts of our great country who have forgotten what it means to respect the protection of the Constitution. 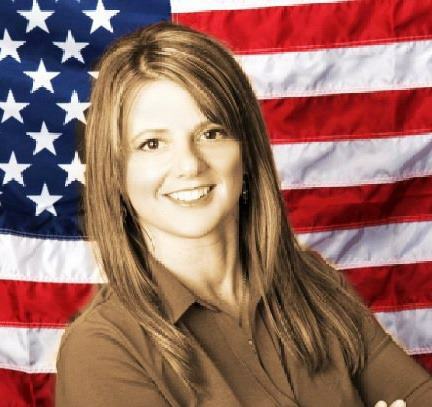 Kelly Townsend is Co-Founder of the Greater Phoenix Tea Party. 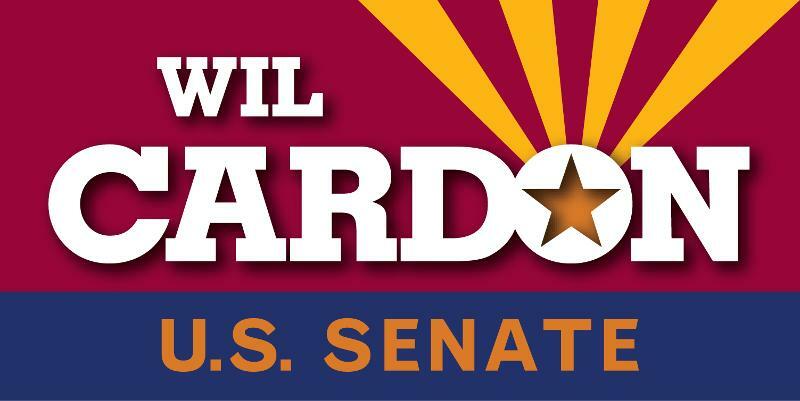 Phoenix, Arizona – Wil Cardon, candidate for U.S. Senate, announced his campaign’s Finance Committee Co-Chairs Tuesday. Cardon’s team includes some of the best business minds in the state who are ready to work tirelessly to ensure Wil Cardon is Arizona’s next U.S. Senator. Wil Cardon’s Finance Committee Co-Chairs will include Founding Partner of Beus Gilbert PLLC, Leo Beus; Community Leader Sarah Suggs Cheek; DMB Associates, Inc. Executive Vice President and Chief Entitlements Officer Karrin Kunasek Taylor; and CEO of El Dorado Holdings Inc. Mike Ingram. Al Fadi is a former Wahabbi Muslim from Saudi Arabia. He is the researcher, editor, writer, and translator for numerous ministries, including “Answering Islam” and runs an outreach center called; the Center for Islamic Research & Awareness. The center focus is to bring awareness regarding Islam, to build bridges with Muslims, and to provide expert input on issues related to Sharia Law and Democracy. 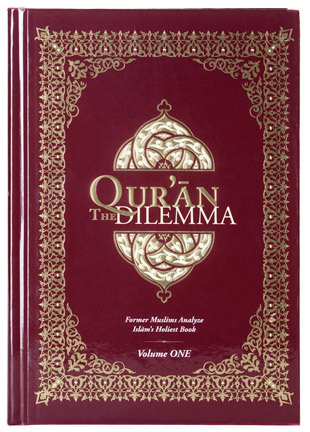 Al is the editor, co-author and contributor of “The Qur’an Dilemma” (both English & Arabic versions) – a critical analysis book of the Qur’an. He is also the director of TheQuran.com Group (www.theQuran.com) which desires to assist both Muslims and non-Muslims who seek to learn more about the main source of Islamic teachings, the Qur’an, to research it, to critically analyze it, and to better comprehend its contents without the traditional religious and cultural barriers designed to indoctrinate and encapsulate the minds of many truth seekers. Al has a Masters in Engineering and is currently working on completing his M.Div. in Biblical Communications. He is an invited teacher/lecturer on Islam and related Islamic study topics. He is an invited guest speaker and trainer at numerous churches and mission agencies on the topic of Islam & Evangelism to Muslims. As a former devout Muslim, he is an expert on the teaching and challenges of Islam. In addition, Al is an invited guest/expert on numerous Arabic evangelical Satellite TV and Radio shows on the topics of Islam and the Middle East.